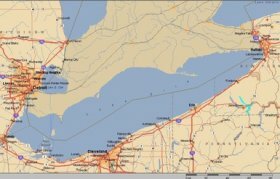 The area surrounding Lake Erie was originally inhabited by the Erie native American tribe, from whom the lake takes its name. This peaceful tribe was conquered and killed by the Iroquois in the 17th century. The land was later peopled by the Ottawa, Wyandot, and Mingo tribes. The first European to record Lake Erie was the French trader and explorer Louis Jolliet in 1669. 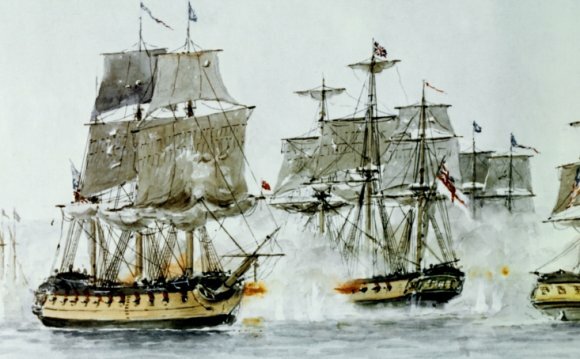 During the War of 1812, Lake Erie played a strategic role, most famously in the Battle of Lake Erie, where Oliver Hazard Perry defeated the British in a sea contest near Put-in-Bay. The victory is commemorated with the Perry monument on South Bass Island. Lake Erie creates its own microclimate along its shores (within about 10 miles inland), making this area fertile and popular for wineries, nurseries, and apple orchards. Lake Erie is also well know for its Lake Effect snow storms, the result of weather patterns picking up moisture from the lake and depositing it at the eastern edge, from Mentor to Buffalo, in the form of snow.